Looking for a designer makeover to your interior design? While you might be searching for the best-ever interior designers out there, Paul Evans is one such name that you can come across in the interior design and furniture design industry that exists in the history. Paul Evans was one such iconic furniture designer whose name resonates in the global furniture & interior designing until now. Paul Evans (1931-1987) has been renowned as a leading furniture designer and interior designer in America. 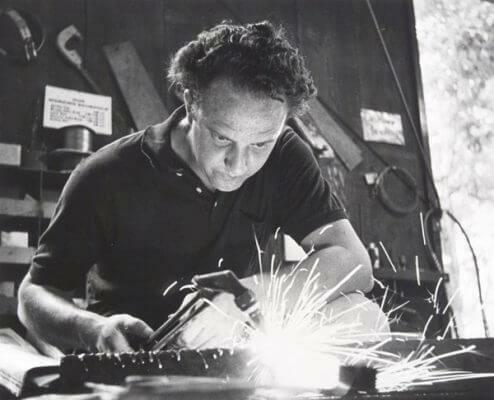 In addition to being an esteemed furniture designer in America, Evans also managed to establish his reputation as a leading artist and sculptor who is known for his major contributions to the American Craft Movement during the 1970s. Paul Evans is also recognized for his work being quite influential in the American arts society. Also, Evans received the golden opportunity to work with the famous manufacturing company named Directional Furniture in America. The exclusive Brutalist-inspired metal furnishing sculpted by Evans in America made him stand out from the rest in the global world of furnishing and designing. A leading performer named Lenny Kravitz who was a famous collector of the sculptures and pieces of Evans described his unique designs and work as “magnificent and stunningly beautiful.” Other adjectives that Kravitz used for describing the unique designs by Evans as stunningly tacky and stunningly sophisticated at the same time. The rich collection by Evans features a stunning gallery of the best-in-class wall-mounted consoles, traditional chairs, dining tables or consoles, bronze disc bar, and so more. Bring home the designer collection of the impressive furniture and world-class furnishing items from the award-winning American furniture designer Paul Evans. As decades pass over, an increasing number of art enthusiasts from all over the world are continuously taking note of the exclusive Paul designs.